At Apple Tree Academy,we have made a commitment to provide high-quality early childhood education for every child that is entrusted to our care. We recognize that every child is an unique and gifted individual, and we respect each child’s right to progress at his or her own pace. We maintain high standards of care and foster a love for learning to last a lifetime. We are dedicated to the needs of every child and utilize the WEE Learn (Weekday Early Education) plan, the Learn Every Day curriculum, and the Nemours BrightStart! reading program. WEE Learn (Weekday Early Education) is a professionally developed and researched based, comprehensive character-building curriculum plan for children ages birth through five. WEE Learn lays a rich foundation by providing a systematic approach building on consistency and a child’s interests. WEE Learn utilizes a theme and brings together quality resources using books, music, manipulatives, toys, playground spaces and nature to illustrate core fundamentals, a love for learning. Themes may be used around the children’s natural interests. At each level, age-appropriate learning activities are designed to lay a foundation for understanding self, family, others, and the natural world. Each WEE Learn Guide includes learning centers, group activities and parent/child enrichment activities for a variety of skills preparation areas including pre-reading, pre-writing, phonics, and number skills. Each unit features two developmentally appropriate stories, finger plays, recipes, and much more. There are additional resource suggestions provided for teachers and parents to ensure a well-rounded learning experience for each child and his family. Learn Every Day is a comprehensive curriculum based on research and developed by national experts. It consists of 36 units and more than 1,300 activities, incorporating literacy, math, science, social studies and creative arts. The lessons available to teachers include multisensory activities for all learning styles. The curriculum addresses arts and creativity, cognitive skills, communication, literacy, mathematics, personal health and development, science constructs, social and emotional skills, and social studies. Learn Every Day will be utilized in classrooms starting with infants and through age five. Nemours BrightStart! is designed to help children learn to read. The program researches, develops and offers evidence-based tools targeting young children at risk for reading failure. The goal is to effectively instruct children at the very beginning of their reading journey to ensure long-term reading success. Nemours BrightStart! 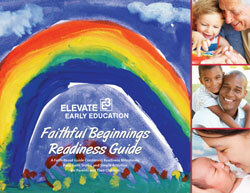 is utilized in preschool classrooms starting at age 3 and through age 5, including VPK. Parents can learn more about BrightStart!, here. Our Early Learning Preschool program is focused on bringing the best "trends in education" that provide a mix of cognitive and social skills, literacy, language enrichment through phonics, and learning centers that include math, science, dramatic play, music and computers. Children are guided in social skills/manners, allowing every child to become a part of a school family and beyond. Our VPK and preschool programs are designed to teach, nurture, and grow each child to be all that they can be assuring a great start in life. Our program includes a blend of teacher-directed and child-initiated activities, with an emphasis on children’s choices. Throughout the day, there is a balance of quiet and active periods, including learning centers, small and large group activities, literacy, phonics, hands-on math, and time outdoors. Preschool activities are designed to help each child reach the major developmental goals of early childhood learning. We emphasize a solid foundation of reading and math skills in a nurturing and safe environment, achieving the preschool milestones through an integrated curriculum model rich in a multi-sensory literacy based framework. Our accredited programs are evidence of the highest standards in the industry and our commitment to provide your child with the very best start in life. Our programs use a variety of tools to enhance and supplement the WEE Learn Curriculum, providing a challenging program and best practice approach for each child. The curriculum enhancements include phonics and math games, literacy tracts, science units, as well as purchased and teacher tailored tools. Music Classes: Music classes are tailored to each age level and consist of a wide variety of hands-on activities including singing, dancing, listening, problem-solving and playing on a large variety of different instruments such as harp, accordion, violin, cello, guitar, mandolin, drums and many other percussion instruments. Children songs are taught which reinforce educational and learning objectives while at the same time promotes a strong musical foundation in concepts such as melody, rhythm, form and musical texture while having a ton of fun doing it! Our hope is to inspire and instill a livelong love of music and overall learning in an exciting, stimulating way. Learn more about our music classes here.